Grape seed is one of the most beneficial components that has been used from ancient time especially in Europe to treated several health issues. Grape seed extract is actually an industrial term of grape seeds. The supplements are rich in antioxidants and oligomeric proanthocyanidin complexes. It is obtained from the ground-up seeds of red wine grapes. Well, it is evident from the name that it is the extract of grape. However, it is full in Vitamin E, linoleic acid, flavonoids and phenolic procyanidins. The extract is mainly used in the industry to made capsules or tablets. The supplements have rich elements. Well, if we turn the pages of scientific evidence then, there is no such potential benefits of using grape seed are mentioned. Actually, it is just a dietary supplement obtained by separating, drying and pulverizing the bitter-tasting seeds of grapes. Due to its high antioxidant content, it helps in several disorders which we will discuss separately. Wound healing: The supplement of the grape extract is used in wound healing. Due to the presence of high proanthocyanidins in GSE triggering the discharge of growth factors in the skin . Help to protect your liver: As we know, the liver plays the important role in the body as it played a key role in detoxifying harmful substances carried to your body through drugs, viral infections, pollutants, and alcohol. Risk of cancer decreases: If a person intakes high antioxidants which include flavonoids, proanthocyanidins then, the risk of cancer decreases. 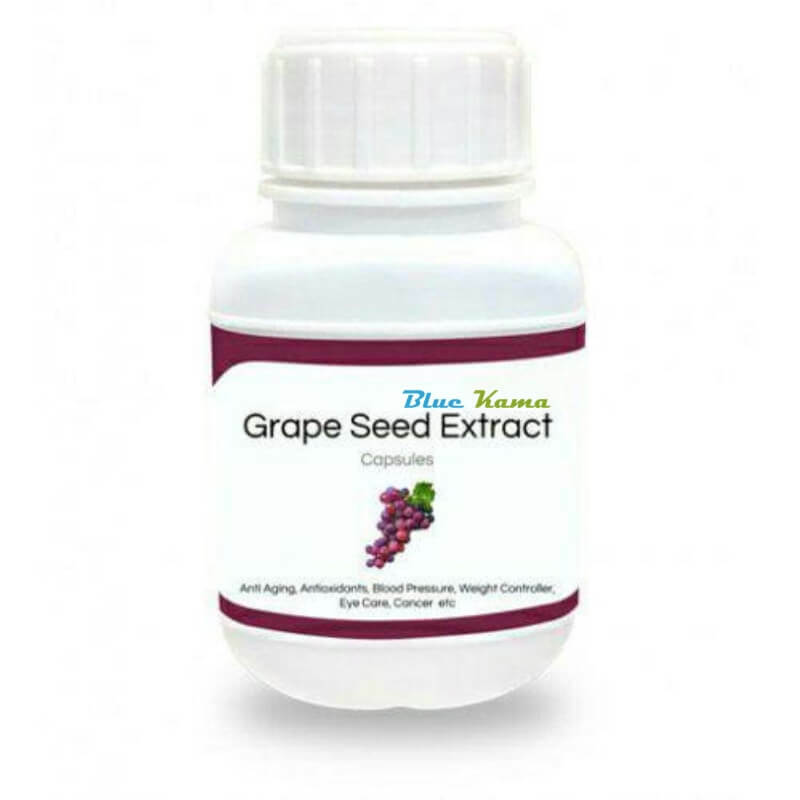 Grape seed extract has shown some potential benefits for human breast, lung, gastric, oral squamous cell and liver. Restrain infectious growth: Grape seed extract is one of the promising supplements that possess the property of antibacterial and antifungal. It is helpful for the proper function of the kidney: As we know kidneys is the most sensitive part of the body which does not survive after the oxidative damage. The studies have suggested that GSE may reduce kidney damage and increase function. Promote bone strength: If a person intake grape seed extract then, his/her bone strength gets to improve. It is also good for low-calcium or high-calcium diet. Defeat oxidative damage: This supplement is used to lower down the risk of oxidative damage. It triggered by high-fat diets in several studies. Blood flow improvement: GSE is also good for better blood flow in the body. So, those who are facing problem related to this can take this supplements. Can Reduce Blood Pressure: It reduces blood pressure: Those who have a problem of high blood presser can take this supplement as it is good to reduce blood pressure level in the body. It is fully organic and natural. It is obvious that in grape seed extract the main ingredients are grape. Apart from that, the other ingredients used in it are totally organic and natural. The supplement of this is also 100% organic. It is especially rich in Vitamin E.
The container of grape seed extracts supplement should be stored in a cool place. It is also important that the box is tightly closed and away from moisture. It is organic but, you should keep it away from kids. Apart from that, the grape seed should not be taken more than 3 to 6 grams/day and before taking this, first, consult your doctor. Bleeding: It can cause internal as well as external bleeding. Grape seed extract also slows down the blood clotting. But, it is suitable for those who have undergone surgery. Hemorrhagic Stroke: One of the most prominent side effects that are shown by the grape seed extract is a hemorrhagic stroke. It’s identified by the bursting of blood vessels inside the brain. It has following symptoms such as coma, unconsciousness, and headache, and nausea, difficulty in swallowing, vision and weakness. Allergy: It is not necessary that it suits everyone. It can cause some allergic side effects such as rashes, itching, swelling of lips, mouth, throat, hives, difficulty in breathing and many more. Pregnancy: There is the big no for the women who are pregnant. If you do not have any medical recommendation, never take this supplement. No, due to the lack of evidence, it is not recommended for children. Who can take this supplement? This supplement can be taken by both male and female. But, it is good to consult the doctor first. How much quantity one can take of grape seed extract? It is organic but access quantity can shoe some side effect. You can take 3 to 6 gram/day. Can an expecting woman take this? Neither pregnant, expecting nor breastfeeding women are recommended to take this supplement. Looking at the above benefits and side effects of Grape Seed Extract, we can say that it should be considered only after the advice of the doctor. It can be useful for some but can cause damage to some. So, before getting 100% confirmation never buy this supplement. So, buy these supplements if you do not fall in the category of side-effect. Make sure to try only a small dose first. So, that you can recognize that is it causing any side-effect on your body. However, it is also affordable and easily available online.